Colorado State Rep. K.C. 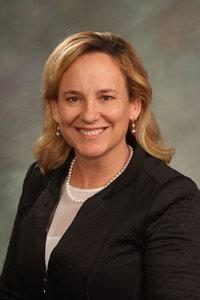 Becker (D-Boulder) has endorsed Proposition 112, a 2,500-foot setback on November’s ballot, confirming her decision to support the measure on Friday. Becker served as House Majority Leader and could be the next Speaker of the House in 2019 should her party retain control of the State’s lower chamber. Becker told the Colorado Sun that despite her initial concerns, she was moving ahead with supporting Prop 112 due to her constituents. “I personally would have written it very differently,” she told the Sun, but “because the legislature hasn’t been able to make change in even very modest ways, it’s not in our hands any more. Colorado Rising’s official Twitter account sent out a “Thank you” tweet on Wednesday evening. “Thank you to House Majority Leader, @kcbecker, for officially endorsing #Prop112! Together we will protect the long term quality of life of our amazing #Colorado from the threat of #oilandgas! #copolitics #safersetbacks #yeson112,” the account said. Becker issued a response on Twitter that evening. “We have been trying for years to work with o&g and have gotten nowhere. I don’t understand why they keep jeopardizing their own industry with total uncompromising position. They say no on orphan wells, setbacks, transparency, more inspections, severance tax fix, etc.,” she wrote. The Colorado Association of Commerce and Industry, which endorsed Becker in August, was not available to comment by deadline. 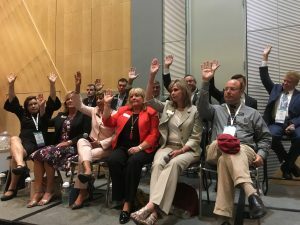 At that time, according to the Denver Business Journal, none of the candidates endorsed by the business group had expressed support for Initiative 97—now known as Proposition 112. Vital for Colorado, a statewide group of business leaders focused on energy policy, which announced a coalition of businesses, unions, homebuilders, chambers of commerce, and other business groups opposing Proposition 112, including CACI, told Western Wire that Becker’s endorsement rang hollow. “When an official says they disagree with the actual words used in the ballot measure, and would rewrite them if they could, does that even count as an endorsement? If that’s the response from a state legislator in Boulder, you know Proposition 112 has big problems statewide and will be decisively beaten,” said Simon Lomax. “Representative Becker can’t bring herself to say anything good about Proposition 112 because she knows it would create a massive drilling ban across most of the state, inflict severe damage to the state economy, cut billions of dollars out of state and local budgets, and destroy almost 150,000 jobs,” he continued. Lomax pointed to Denver Pipefitters Union Local 108, which opposes the setback measure. “Many of those jobs belong to blue-collar workers, which is why you see the Pipefitters Union on TV denouncing Proposition 112,” he continued. Becker’s endorsement breaks with Democratic party leadership in the state. Gov. John Hickenlooper and former Colorado Attorney General Ken Salazar oppose the measure, as do both of this year’s gubernatorial candidates, Democratic U.S. Rep. Jared Polis and Republican State Treasurer Walker Stapleton. “It’s also why two very different candidates for governor, Jared Polis and Walker Stapleton, agree Proposition 112 is bad for Colorado and should be defeated,” Lomax said. Until Becker, the only prominent Democratic support came from the Colorado Democratic Party’s executive committee. Salazar called their decision to endorse the measure “irresponsible” back in July. State Sen. Angela Williams, a Democrat representing northeast Denver argued that the measure simply “goes too far” in August while participating on a bipartisan panel that rejected the setback as too extreme, raising their hands in opposition. “A twenty-five-hundred-foot setback is going to have an economic impact on this state that we at the legislature don’t have the money to backfill,” Williams said. She also praised the effort and the record of the oil and gas industry in the state.